Melanoma is the fastest rising form of cancer among men and the second fastest rising form of cancer among women and has become an important public health hazard. There has been a 3–7% worldwide annual age standardized incidence increase over the past 5 decades. The current lifetime risk is 1.9% for men and 1.37% for women. Once the disease progresses in regional or distant sites, it is very difficult to treat—and when disseminated it is a devastating illness. Despite an epic number of clinical trials to test a wide variety of anticancer strategies, ranging from surgery to immuno-, radio- and chemotherapy, the average survival rate for patients with metastatic melanoma is still 6-to-10 months. The only 2 FDA approved agents for advanced melanoma are Decarbazine (DTIC) and interleukin-2 (IL-2). The overall response rate (RR) is 15% with the former and 15–20% with the latter. There have been several advances made in understanding the molecular pathways playing important roles in the pathophysiology and chemoresistance of melanoma. 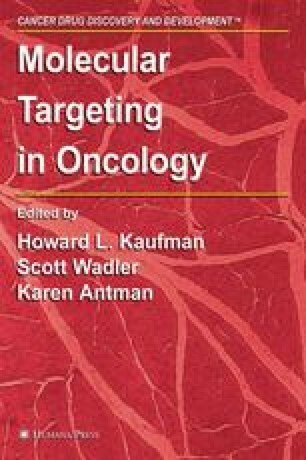 Based on this ongoing research, several current novel management strategies, such as immunomodulators, inhibitors of the Raf kinase signal transduction cascade, proapoptotic agents etc., have evolved targeting the molecular pathways critical for survival and progression of melanoma. This chapter reviews the current concepts in the molecular pathogenesis of melanoma, the current medical treatment alternatives and outlines the future directions of further improvement.